Your Source for all your taxi needs, from one location to another, we also unlock cars! Wilmington NC Taxi & Car Service provides airport taxi transportation and Airport shuttle services to and from all major airports such as Wilmington International (ILM), RDU, OAJ, MYR, CLT, ATL. 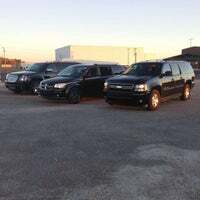 We work hard to be Eastern North Carolina’s #1 Choice in Airport Taxi, Airport Shuttle, And Airport Car Service providers. Wilmington NC Taxi & Black Car Service Unlocks Cars! If you are in need of automotive Unlock services, contact us immediately. We will dispatch someone to your location as quickly as possible. We work hard to earn your trust and be Wilmington’s #1 Choice for all your Wilmington NC Taxi Service’s and Transportation needs. We are proudly living and doing business in the Wilmington North Carolina area! Wilmington NC Taxi Service provides a safe, dependable and clean Taxi Cab ride in and out of town, 24 hours a day. We provide Taxi Cab & Car Services To all Coastal Carolina destinations Including Carolina Beach, Kure Beach, Fort Fisher, Wrightsville Beach, Southport, Little River, Myrtle Beach, Bald Head Island, Oak Island, Topsail, Boiling Springs Lake, Holden Beach,Winnabow, Burgaw, and more. We specialize in First Class Affordable transportation to and from all airports such as, ILM, RDU, OAJ, MYR, CLT, ATL.